What if we could get 100 people to do Yoga at the Soccer field in New Liskeard? What if this free class was taught by 5 different teachers in the community? What if we could raise awareness about programs in our community that help people with mental health issues and also provide a network fo r those who support them? So on September 8th at the New Liskeard Soccer Fields we are going to do just that. Come and join us for this free event from 10:00-11:30 am. Afterwards the Northern Star Program will be offering healthy snacks for purchase to help raise money for the Consumer/Survivor & Family support Network programs that they offer. This class is appropriate for all ages and fitness levels. Come and experience Yoga with family, friends and your community. Even if you have never tried Yoga – this is your opportunity. The benefits of Yoga have long been documented. Yoga increases flexibility, strength, muscle tone, pain prevention, and better breathing. What about the effects of Yoga on your mental health? We live in a very fast paced world with lots of demands pulling us in so many directions. The opportunity to relax our minds from the day to day demands and relieve some our stress is always welcome. We hope that you can join us on Saturday September 8th from 10:00-11:30 am to experience the benefits of Yoga for your body and spirit. As well we hope to increase your awareness of what our community has to offer in support of your Mental health. Balanced Motion FREE COMMUNITY EVENT!! Saute the sweet potatoes and onions in large pan with olive oil until tender, add a bit of water to prevent sticking. I keep the lid on for a while – until the sweet potatoes are soft then I take it off and let them fry more. 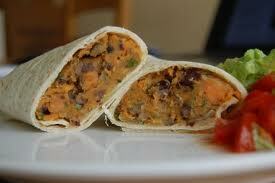 Roll up tortillas with bean/sweet potato mixture and ad rated cheese. Place on cookie sheet in the oven for a few minutes (so the tortillas are warm and they stay together) at 350. Here is the third piece to the puzzle..stay tuned for the final piece! Here is the second piece of the puzzle! Check it out! Stay tuned for the next piece of the puzzle! The quality of your posture can make a big difference. Good Posture can; make you look and feel younger, stronger, and more confident; help improve your breathing, advance your sports performance, decrease your risk of in jury and improve your biomechanical efficiency. Good Posture also improves muscle function, increases range of motion, improves circulation and takes pressure off of compressed organs. Our posture is often affected by our lifestyle: if we sit a lot and lead a fairly sedentary lifestyle we never take the opportunity to work those deep postural muscles that are the foundation or building blocks of good posture. Even if we are fairly athletic we still need to pay attention to those building blocks of good posture. One of the new buzz words in the last few years has been the word “Core” and how working the Core can help build better posture. The “Core” muscles also referred to as the “Powerhouse” consist of the abdominal muscles, back and pelvic floor muscles. Exercising these muscles properly allows the shoulders to relax the neck and head to move freely, and relieves stress on the hips, legs, and feet. So how does Pilates improve your posture? The foundation of Pilates is based on Core strength as well as providing stability and mobility for our joints. The Core is the center of the body and every movement should start in the Core and flow outwards towards the limbs. 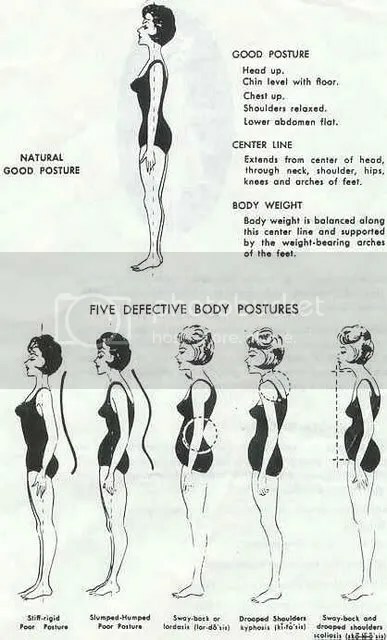 Pilates focuses on total body alignment by balancing the strength in all postural muscles. The exercises focus on the quality of the exercise as opposed to the quantity. When we look at the quality we can really determine where the movement is coming from in the body and work to engage the core more, thereby increasing the quality of those building blocks resulting in better posture. Pilates can be done on the mat or on machines, such as the Reformer. Reformers use springs and a moving carriage to add resistance to the exercises therefore increasing the strength of the muscles as well as lengthening them to better support the spine. Pilates can be practiced at any age and any fitness level. To create change in our posture we have to be consistent with Pilates, even one class a week will help create a lengthened more supported you.